I have been watching each new block be posted on the site and I have waited patiently for my fabrics to arrive in the post so that I could start. They took much longer to arrive than I had expected! There is a link here for the first block should you want to take a look. So this afternoon whilst the children were occupied playing the piano and laughing at videos of themselves when they were babies, I cut out the fabric for my first block. As soon as they went to bed I started sewing it together. 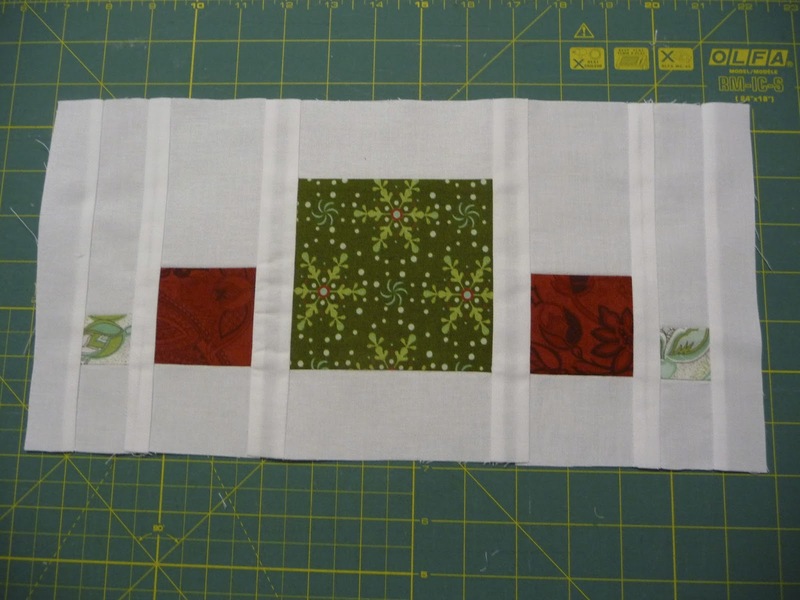 It went together quite easily and I am quite pleased with it, unlike the second block I started. The next one I picked has given me some trouble. It got late so I decided I would have to look at a fresh tomorrow to see how it should go together.